Although side-hustling is not a novelty and dates all the way back to the 1970’s, the ‘gig economy’ and ‘portfolio careers’ are a rapidly growing trend for many different reasons. Back in the days, especially during periods of financial crisis, workers took up side-hustles in order to make up for the financial gap in their income flow. Traditional courses are more suited for people with an open schedule. Today, portfolio careers are becoming inevitable due to the ever growing technology advancements and the rise of Artificial Intelligence. AI is taking up many of the jobs traditionally done by physical workforce, but companies are in need of employees with newer sets of skills and expertise. First of all, and this is just pure common sense, you don’t need a dream job to be your greatest version. Living the life of your dreams, doesn’t necessarily mean having a fairy tale career. Think of it this way, what would happen if everyone in the world chose to be an entrepreneur? It would be impossible for the world to function this way. And after all, not everyone is set up to becoming an entrepreneur. This doesn’t mean that entrepreneur personas are smarter than the rest, it just means that every individual is different, with different skills and talents. As the gig economy keeps growing, portfolio careers will help you reduce risks and stay nimble on the road to financial freedom. The work-life integration which portfolio careers provide will serve as the ideal opportunity to pursue your greatest dreams. Now that you understand why you should build a portfolio career – it’s time to pinpoint and diversify your skills and talents across one or more industries. So, whether you’re a graduate, or maybe thinking about getting a college degree, you need to start building your resume with the goal of building a portfolio career. Some of us have spent our entire lives hustling between different jobs and careers. The traditional way of thinking taught us that it’s important to focus on one thing and finding a ‘real job’. Today, we know that this is far from the truth. Side hustles, gigs, part-time jobs, volunteering, and independent projects can (and will) help you build a successful portfolio career. But what you have to do, is decide what type of a portfolio career you will go for. You can diversify among different professions and interests; Or you can have a core profession, and additional hobbies and passions which you are monetizing. Recent studies show that having more than one passion links to greater happiness. So, if you’re one of those individuals with a number of interests, this is a great start to building your portfolio career. Consider your hobbies, even the projects you enjoyed being involved in during school or college, as well as interests and passions you’ve been thinking about developing. We’re living in a technology era, where continuous learning and development is key to success. So, get on out there and start getting that knowledge you’ve been thinking about for a while. You’ve probably heard the famous saying these days “Work Smarter Not Harder”. This is so true when speaking in terms of getting to a successful portfolio career. But, you have to know that in order to get to that point, you’ll have to spend some time working (and learning) hard. Getting to the point of working smarter, not harder, makes continuous learning and development inevitable. It’s not just about finding work-life balance, but rather about work-life integration. When you’re starting off as a portfolio careerist, you’ll most likely have to take on side-hustles – which aren’t always a perfect match to your interests – in order to develop a stable income flow. Additionally, different gigs will have different perks. Depending on the stage of life you’re in, your priorities will be changing. At some point you’ll prefer the flexibility freelancing gives you, whereas at another point your priority will be a stable health-care plan. 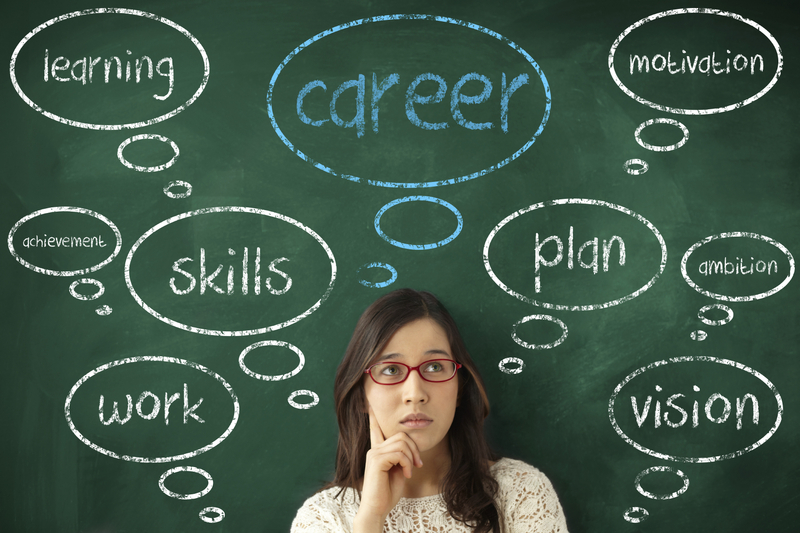 Latest studies show that portfolio careers are the future of work. In an unpredictable world of the 21st century, diversification through skill sets will help you reduce risks and adapt easily to the job market changes, as well as your own lifestyle changes. Obviously, if you currently have a full time job, it wouldn’t be very smart to just quit. The transit takes time, so to begin with, start with one side-hustle and then work your way up. Ultimately, your goal is to get to the point where you’re working on multiple short term projects where you are a valuable asset and which give you the fulfillment you require.